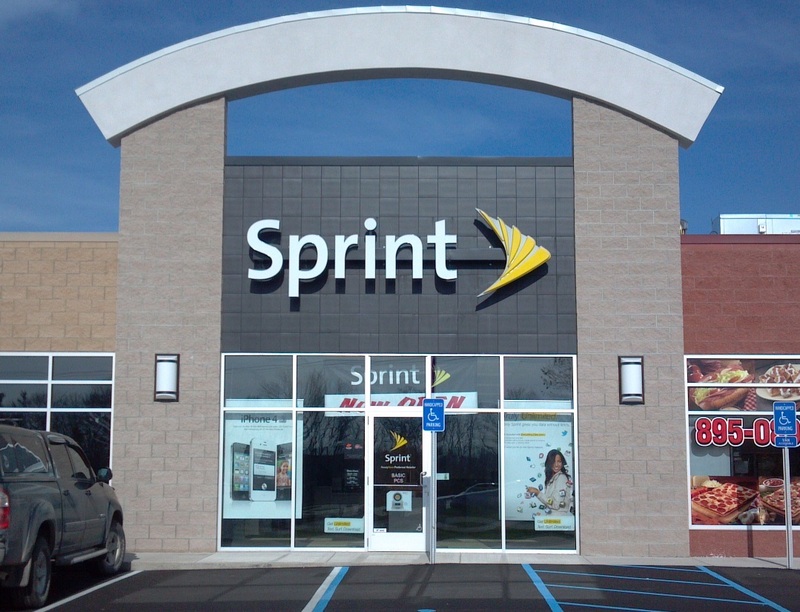 Whether you’re looking for a new flagship device or looking to save a little dough, Sprint offers some of the best devices on the market today. As a site that’s always on the lookout for the best phones and the best value, we’re bringing you a list of the best devices you can walk into a Sprint store and pick up today. Samsung’s newest phones are also its best phones. 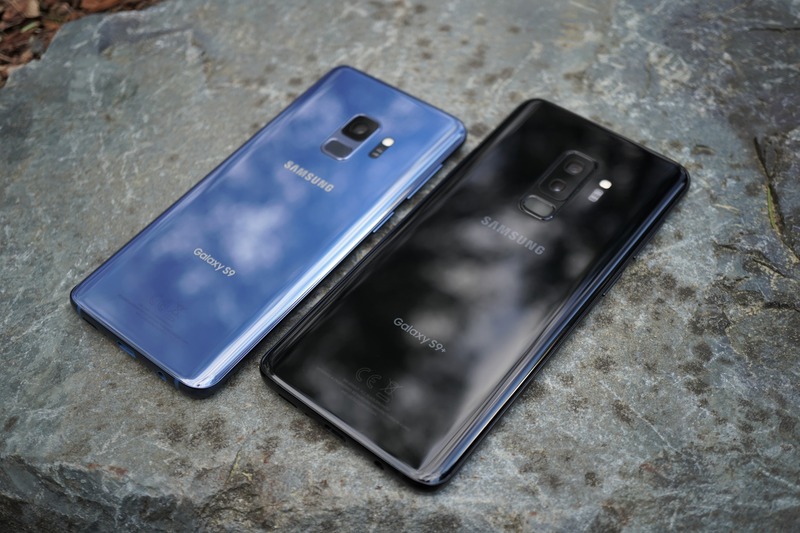 The Samsung Galaxy S9 and Galaxy S9 Plus came out less than a month ago to high praise around the tech industry. While there aren’t huge changes from last year’s Galaxy S8 and Galaxy S8 Plus, there didn’t need to be for Samsung to stay atop the Android latter. The most notable new addition to the devices is the dual mechanical aperture lens. Depending on your lighting, the lens will change between a f/1.5 aperture and a f/2.4 aperture. This allows the camera to let in more light when it needs it. In practice, pictures look absolutely fantastic, just like they did last year. The new camera setup does improve the reduction of noise in low-light situations and maintaining fine lines in pictures. While most may not notice a difference, it is there and camera hounds will know what to look for. Another notable change is how Samsung is differentiating the two devices. While last year’s devices both featured a single camera and 4 GB of RAM, that’s not the case this year. Spending the extra ~$120 on the Galaxy S9 Plus will get you an extra 2 GB of RAM (to 6 GB total) which matches the Galaxy Note 8. It also has a dual camera system, where the S9 just has a single shooter. Despite their differences, the devices are largely the same. Both feature the brand new Qualcomm Snapdragon 845 processor that promises better performance and better battery life. Both have all-day battery life and Android Oreo on board, along with Samsung’s own software enhancements. The Essential Phone has had an interesting journey. The phone was teased in early 2017 by Android co-founder Andy Rubin. It wouldn’t ship for another five months, but the hype around it built to a fever pitch. And then…. disappointment. While the Essential Phone is a fantastic phone, missed deadlines, broken promises, and leaking customer data killed the shine on the device. But, that’s all in the past. What matters now is the device you can purchase today for a touch under $500. When picking the best looking phones on the market, the Essential Phone should be near the top of your list. The almost all screen design looks absolutely gorgeous. Sure, the notch isn’t for everyone and we’d prefer AMOLED over LCD, but the phone looks great and feels fantastic in the hand. 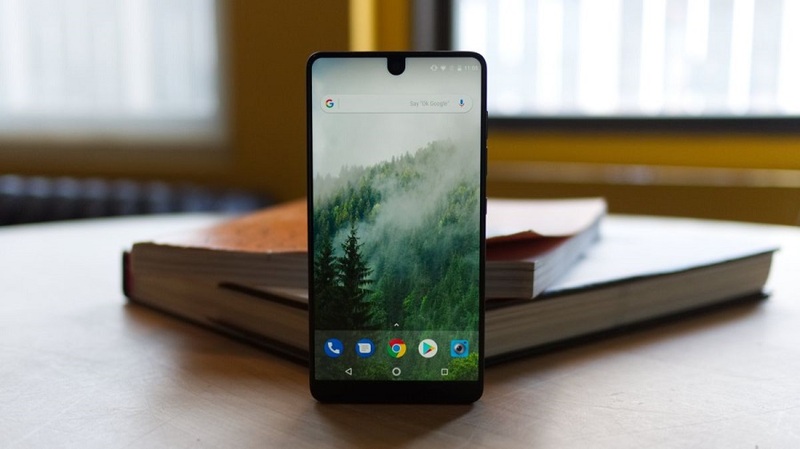 The Essential Phone runs stock Android and received frequent updates. It’s one of the first major devices to get an Android 8.0 beta while flagships from Samsung, LG, and others are stuck on Nougat. In a world where OEM skins seem to rule the day, the Essential Phone’s software is a breath of fresh air. The Samsung Galaxy Note 8 combines power, speed, and beauty to be one of the best smartphones of the year. Samsung simply had to put out an amazing device after the Galaxy Note 7 fiasco and it delivered. The Galaxy Note 8 is expensive at a $999 initial asking price, but delivers some of the best performance available on a smartphone today. The standout feature of the Galaxy Note 8 has to be the display. The 6.3-inch Super AMOLED display features the new 18:9 aspect ration that most phones moved to in 2017. It’s big, bright, and the colors pop unlike any other on the market. Combine a beautiful curved display with almost no bezels and you have a recipe for success. One thing to keep in mind is that the display is one of the largest on the market and even though the bezels are tiny, the phone is too big for most people to use one-handed. If you have smaller hands, you may want to consider other options. Samsung finally joined the dual-camera club with the Galaxy Note 8. 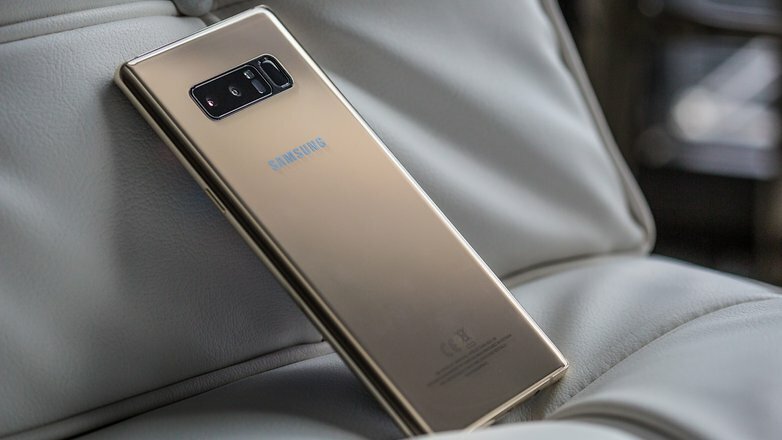 Though Samsung had featured dual cameras on some of its mid-range phones, the Note 8 was the first flagship the company produced with the camera setup. And boy did it impress! DxOMark gave the Samsung Galaxy Note 8’s camera a 94 rating. One of the biggest reasons it scored so highly was the excellent zoom feature that the second lens enables on the device. The device also got high scores for autofocus, flash, exposure, and contrast. While Samsung’s software skin may have been a reason to avoid its devices in the past, that has changed in recent years. Samsung made some smart design and aesthetic choices which makes using its devices fun and easy. There are still a ton of features packed in, but you don’t feel overwhelmed when setting up the phone or during daily use. Samsung gives you the tools to make the phone function exactly how you want it to. BlackBerry put out one of the most surprising devices in 2017 with the KEYone. We know people who absolutely swear by the device and refuse to let go of their physical keyboards. If you were to focus solely on specs, you’d miss out what makes the KEYone special. Sure, it has a midrange processor (Qualcomm Snapdragon 625) and a standard amount of RAM and storage (4 GB and 64 GB respectively). But that keyboard. The KEYone is one of the only devices on the market to feature a physical keyboard and for those of us who grew up with them, typing on those buttons feels like home. 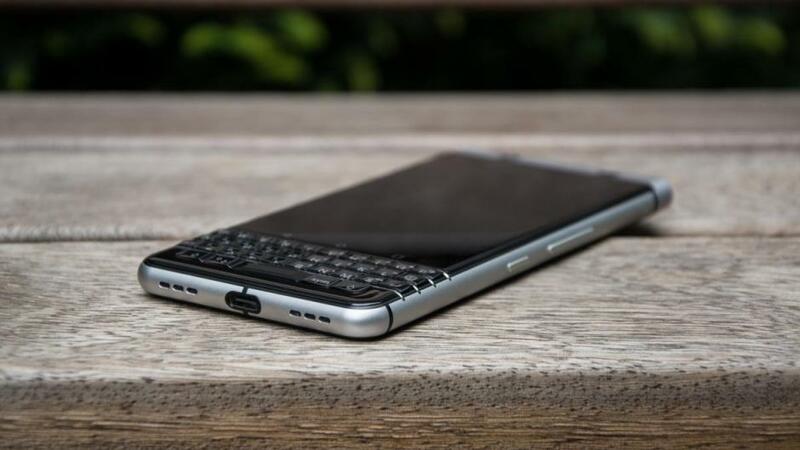 The keyboard is there to attract business class customers who are used to BlackBerry phones of old. But, BlackBerry also focused on software features that will appeal to enterprise customers as well. The phone has second to none security features for those who work with sensitive information. 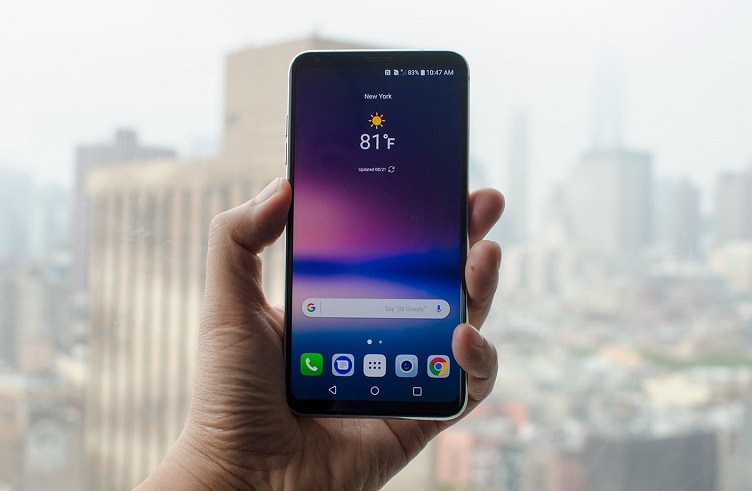 With the recent announcement that LG would be moving away from a yearly device release cycle, the LG V30 Plus is the best LG phone on the market until the G7 goes on sale. The V30 is one of the most premium phones on the market and relies on its media capabilities to entice customers to pick one up. When they do, they’re rarely disappointed in this little powerhouse. One of the first things you’ll notice about the LG V30 Plus is just how small it is for a phone with a big screen. Like most flagship devices, the V30 Plus moved to the new 18:9 aspect ration (the display is twice as tall as it is wide) but the V30 Plus still feels excellent in the hand. It’s easy to use and even if you can’t reach the top of the screen, LG included some smart software tweaks to let you check your notifications with a button located in the navigation tray that drops the notification shade. One of the most compelling reasons to pick up the LG V30 Plus is not that it kept the headphone jack, but it offers a quad-DAC to make everything coming out of that jack sound excellent. If you often listen to music through wired headphones, the LG V30 Plus should be at the top of your list when you’re looking for a new phone. LG is also known putting great cameras in its phones, and the V30 Plus is no exception. The dual camera setup offers one regular lens and one wide-angle lens with a 120-degree field of view. The video camera is no slouch either offering features like color grading options, point zoom control, log video, and a quick editor mode. What do you think about our list? Are we missing anything? Let us know down in the comments.